A filter is a device made of fibrous materials which removes solid particles such as gunk, debris, dust, pollen, mold, and bacteria from the air. 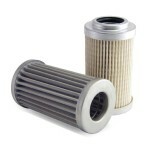 There are five main filters in a car; Cabin Filter, Fuel Filter, Air Filter, Engine Oil Filter and Transmission Filter. A cabin air filter cleans the air quality in the interior of cars where passengers sit. It filters air going into the passenger compartment through the vents when the fan, A/C or heat is on from particles like dust, pollen and other pollutants. The next time your on a dusty road, remember that it’s you cabin air filter that keeps the car cabin clean. 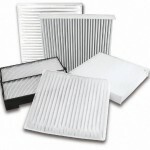 For the best air quality, Cabin filters should be changed every 12-15,000 miles. 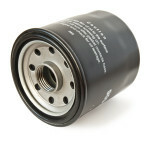 A fuel filter cleans the gasoline before it gets to the engine, it is located between the fuel tank and the fuel pump. Fuel Filters filter impurities in gasoline that could clog the fuel injector. Some car manufactures build filters that last the life of a car, for improved gas mileage, most fuel filters should be changed every 12,000 miles. 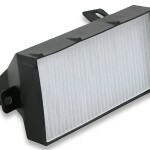 An air filter cleans dust and debris from air going to the engine. When a cars combustion engine is on, air is circulated for better gasoline combustion, air filters protect engines by collecting and trapping particles in ridges, preventing these particles from entering the engine. To keep you engine at its best, air filters should be changed every 30-45,000 miles. A engine oil filer stops solid deposits from reaching critical engine parts. Engines need motor oil for lubrication for the many moving pieces such as; valves, cylinder walls, pistons, camshaft, connecting rod and crankshaft bearings. As the oil flows through these parts, it picks up small metal particles. Engine Oil Filters trap and remove these small metal particles from the circulating motor oil. 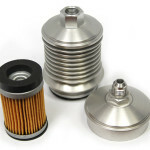 To protect your engine, engine oil filters should be changed every 3,000 miles. A transmission filter keeps metallic contaminants out of the transmission fluid. Automatic transmissions are closed hydraulic devise with no foreign matter being introduced, however small metallic particles are picked up as pressure flows through the transmission. Transmission filters trap and remove these small metal particles from the circulating transmission fluid. To keep you transmission thriving, transmission filters should be changed every 30-50,000 miles or so. To protect all of the systems in your car, changing filters is essential. 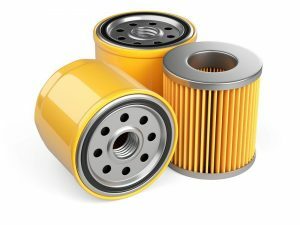 Our professional North Attleborough auto repair technicians know the intervals to change filters and have the latest tools to perform your filter replacements and keep your vehicle driving at its best.